I personally place really high value on family photos. I love preserving memories of our family history that we can look back on year after year. I once enjoyed spending my leisure time with the hobby of creating personalized artistic handmade scrapbooks to collect these precious memories. As our young children have grown more busy and active, I lacked more and more time and space in our home to create. I steadily got more and more behind in producing these type of albums. Also, it was becoming less and less appealing to spend my precious leisure time with this type of hobby. I recently discovered I had become about 2 years behind on getting photos some type of book. It was time to find a solution. Now, I realize I could just print the photos and slap them into any old album off the shelf, but I still love the idea of creative presentation of photos. I decided to go completely digital in creating personalized family photo albums. This would save a LOT of my limited time (and much needed energy), would not take up any space at all, and I could still be creative in the presentation of my photo books! Thankfully, we got our first digital camera right around the time our first child was born. So, even though I'm behind on getting photos into albums, all our most current family photos are completely organized in digital files. Because I've been diligent at regularly downloading and storing my photos in digital files, it won't take too long before I'm all caught up in producing albums (even if it's just one small step at a time). 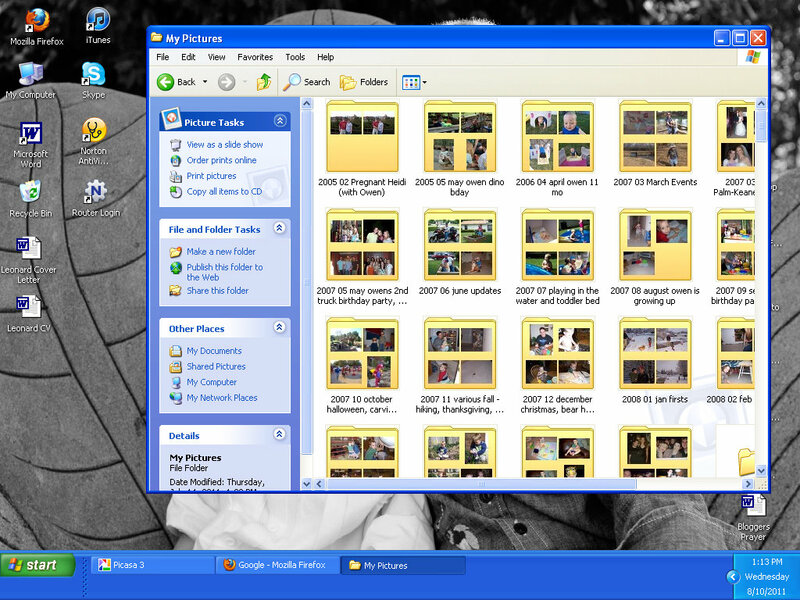 Every 2-4 weeks I set aside time to upload and edit photos with PICASA (a free photo sharing & editing software from Google). is another digital photo editing program. 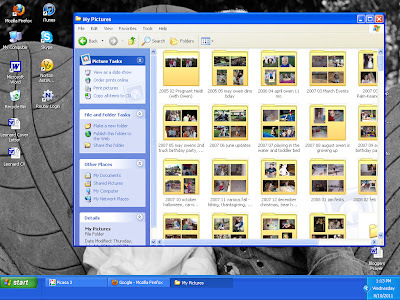 I prefer PICASA, because once photos are saved , files are also automatically created and saved to a photo file on my hard drive for easy retrieval to upload to other sources like my Facebook wall, our family blog or to print. This is an ideal method as your computer will automatically save your files in chronological order. While making handmade albums, I would only print out enough physical photos to put into albums only when I knew I'd have time to create - I usually completed 2-4 pages at a time. 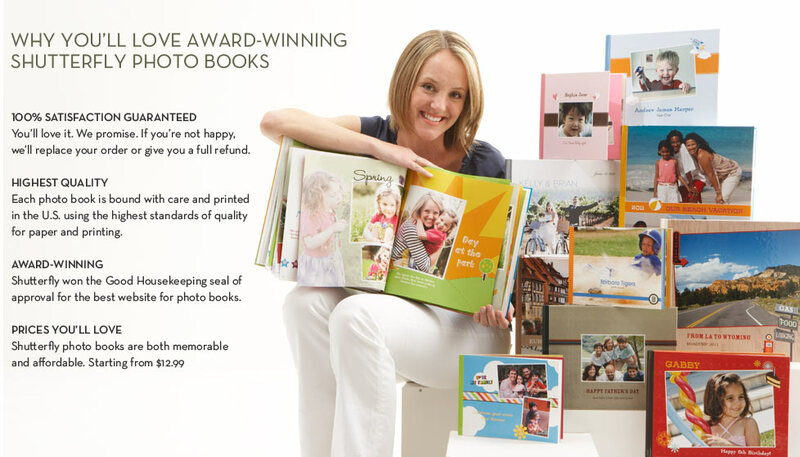 There are many available storage options to organize already printed photos. 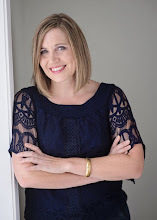 If you'd like some personalized suggestions on how to get started, contact me! If you're like some of my clients, you've got files and files of photos saved on your computer with no distinct system. Your first step will be to create a new habit of labeling your files in a numerical system I just mentioned. 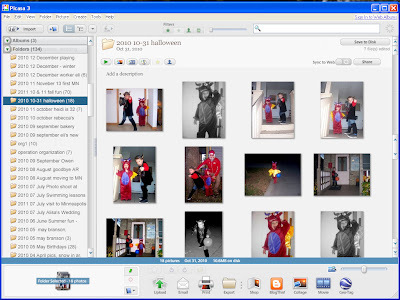 You can also begin to re-name existing photo files to create a more efficient system moving forward. After all photos have been uploaded and edited in Picasa, and automatically saved in numerical order to our hard drive, I begin uploading the BEST photos into Shutterfly albums. It's up to you how you choose to create these albums (one for every season, special events and/or holidays, individual vacations etc.) I've chosen to create annual family year books to chronicle one whole year of our family events. The nice thing about creating digital albums is that I can also have multiple albums printed to give to each child or even extended family! I plan into my day/week time to work on uploading these photos. (usually one or two afternoons a week for 30-60 minutes while my children have nap/rest time). Once all desired photos are saved in Shutterfly, I then begin my favorite task - the creating! Once again, I intentionally plan ahead to MAKE time in my weekly schedule to do work on it even if it's just 30 minutes at a time. It's SO simple and FAST to create digital albums through a service like Shutterfly! Once my creating time is up, I simply save my project as it is and log out until next time. No messy clean up, and no dragging a bunch of supplies out the next time I'm ready to work on it! Creating digital albums has proven to save me so much time because I'm able to eliminate several other time consuming tasks that were part of the hand made process. In the long run, I believe I'm probably also saving money on printing physical photos, products and materials like paper, stickers, and embellishments that I once had to purchase regularly to create handmade albums compared to the total price to print and ship a digital album. 1) Upload and order photos to be printed to another location across town, while then having to wait for them to be prepared. 2) Find time to pick them up. 3) Spend time shopping for materials to create albums. 4) Spend time getting materials to create organized to use. 5) Spent a LOT of time in the creating process - lots of cutting, measuring, pasting etc. 6) Spend a considerable amount of time putting everything away after each and every creating session since I didn't have my own creative space. This is just my personal preference. 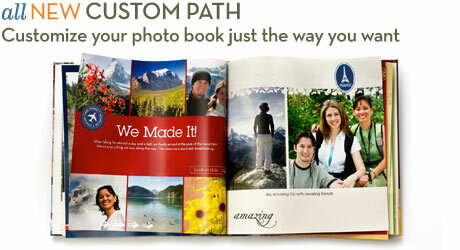 I'm sure many people ENJOY the process of creating beautifully tailored and personalized hand-made albums. For me, it was beginning to feel like a chore, rather than a hobby. Making the decision to go completely digital in my photo organizing and archiving was just one small way I could make an effort to de-clutter my life and time while still maintaining a little creative and personalized artistic flair in the presentation and preservation of our family memories. *Disclaimer* I was not rewarded or compensated for any products or services listed in this article. All opinions are my own from personal experience and use. Great tips, Heidi! I also save all my photos by date. And I LOVE shutterfly albums. They are always great quality and they have so many fun options! Ohhhh, I want to win!!! I'm planning to make each of my boys their own ABC album for Christmas and getting one for free would be awesome. Love this post, Heidi, thanks for the great ideas!